301 Regatta Drive Jupiter, Fl 33477 has been sold. BEAUTIFUL 3 BEDROOM 2 1/2 BATH VILLA IN THE PRESTIGIOUS GOLF AND BOATING COMMUNITY OF ADMIRALS COVE. LARGE, LIGHT & BRIGHT ROOMS AND A LARGE SCREENED PATIO ADD TO THE CHARM OF THIS LOVELY WATERFRONT HOME. A LITTLE UPDATING WILL ENHANCE THE VALUE OF THE HOME DRAMATICALLY, AS IT SITS ON AN OVERSIZED LOT WITH PLENTY OF ROOM FOR EXPANSION. THE PROPERTY HAS OVER 100 FT OF WATER FRONTAGE, A DOCK FOR A 40 FT BOAT, AND OUTSTANDING LONG WATER AND SUNSET VIEWS. DON'T MISS THIS WONDERFUL OPPORTUNITY! 301 Regatta Drive located in Jupiter, FL is a townhome with 3 bedrooms, 2 full baths and 1 half baths.The Townhome at 301 Regatta Drive was built in 1990 in Admirals Cove and offers a 2 car garage. This Admirals Cove Townhome offers pool, golf course, boating, tennis, bike - jog, clubhouse, basketball, elevator, lobby, exercise room, game room, library, sauna, spa-hot tub, putting green, street lights, whirlpool. 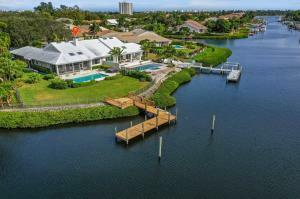 301 Regatta Drive Jupiter, Fl is currently listed for $1,400,000 under the MLS# RX-10489355. This Townhome has been put on the Jupiter MLS system and currently has a status of SLD. Admirals Cove in Jupiter is really a wonderful community in a great city. If you like the beautiful Jupiter location but you are not sure about this community. You might like one of the other local communities like Antigua At Abacoa or Trump National or Waters Edge or Bella Vista or Abacoa Town Center that are located here.